Be sure to come on a half day tour to get orientated & discover the very best of the highlights of this magnificent Harbour City. 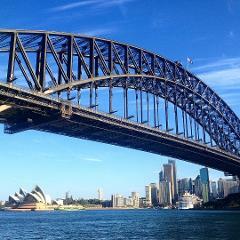 For those people with not much time, our half day tour is the smartest thing to do on arrival to Sydney. 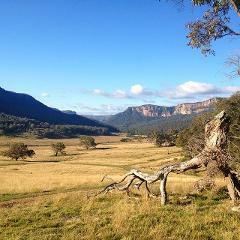 Only 90 minutes from Sydney, the scenery of the Blue Mountains is incredible. See the 3 sisters, canyons, valleys, huge vertical sandstone cliffs and any number of beautiful waterfalls trickling slowly over ancient eroded escarpments. Come and get orientated in this magnificent Harbour City on our relaxing full day tour, taking in all the very best sights of Sydney's exclusive Eastern suburbs as well as magnificent Middle Harbour & the beautiful Northern Beaches. Our Private Charters are tailored to give you the very best from your day, whatever you want to do, we will make it happen. We can cater to the needs of a single VIP, or for a large corporate group. Please contact us for further details. 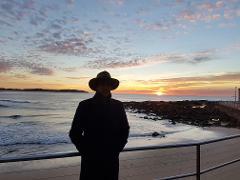 13 day Luxury Tour seeing the Best of Australia. Luxury boat cruise, 5 star accommodation in capital cities, private tours of Sydney, Blue Mountains, Uluru, Kata-Tjuta, Melbourne, Great Ocean Road, Adelaide, McLaren Vale & Kangaroo Island. In addition to the extraordinary scenery of the Blue Mountains, we first visit Featherdale Wildlife Park, then travel on into the mountains to indulge in a decadent lunch with views of the phenomenal landscape that is the Blue Mountains. We first visit Featherdale Wildlife Park before we travel into the breathtaking scenery of the Blue Mountains where we visit Scenic World, home to worlds steepest train, the Scenic Cableway & the Skyway crossing the valley 270m below! Very few cities in the world have an amazing world heritage listed wilderness right on its doorstep, well Sydney does, the Blue Mountains National Park. We tailor a hike suited to your fitness so you can discover much more of the park. You've found it! We provide you with the best Guiding services for established tour groups looking for a knowledgeable local guide to accompany them wherever they wish to go. Multi-day tours on request. If you are looking for the best Sydney guides who speak your language, look no further! We provide Guiding and Driver-Guide services in multiple languages for established tour groups looking for a bi-lingual guide to accompany them. Looking for the best local guides who speak your language, look no further! We provide bi-lingual Driver-Guide services in SPANISH, FRENCH & GERMAN. Our guides accompany groups on their established itineraries. Multi-day tours on request. 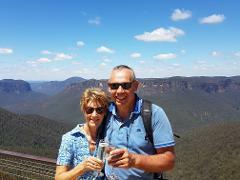 Choose any Blue Mountains tour and combine it with a Full day Sydney tour to have the Ultimate 2 day tour package. Day 1 soak up Sydney's many highlights all day, then on day 2, enjoy the phenomenal landscapes that are the Blue Mountains. 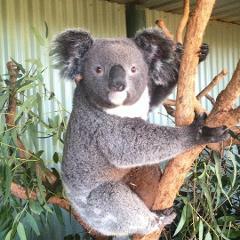 Choose any Blue Mountains tour and combine it with a half day Sydney tour to have the Ultimate 1.5 day tour package. 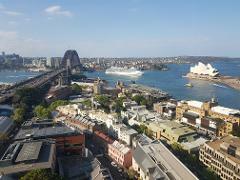 Day 1 soak up Sydney on an epic half day tour, then on day 2, enjoy the phenomenal landscape that are the Blue Mountains. 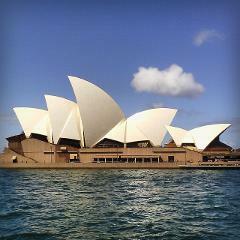 10 day Luxury Tour seeing the very best of Australia. 5 star accommodation in capital cities. Luxury private boat cruise on Sydney harbour, private day tours of Sydney, Blue Mountains, Uluru & Kata-Tjuta, Melbourne & the Great Ocean Road! 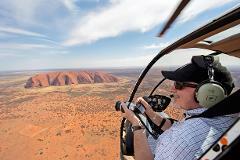 10 day Luxury Tour seeing the very Best of Australia. 5 star accommodation in capital cities, private Luxury boat cruise on Sydney Harbour, private full day tours of Sydney, Blue Mountains, Uluru, Kata-Tjuta, Melbourne & Great Ocean Road. The ULTIMATE 4 night luxury Sydney Experience. 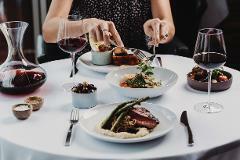 5 star accommodation, gourmet meals & Private everything- , private Opera House tour, airport transfers, Sydney Harbour luxury boat cruise, private Sydney City & Blue Mountains full day tours.